OMG!!! I'm watching TMTETS again. I miss SooHyun soooooo muchhhhh !!! It's crazy!!!! Even though he's an over-400 years old species, he still looks like a student in the above picture... kekekeCAN'T FREAKING WAIT! Since they started filming this early, does that mean they will minimise the number of live-filming days? Or is the whole series gonna be filmed before-hand, coz that would be awesome. Yoo In Na has been confirmed for new SBS drama 'Man From the Stars'! According to her agency YG Entertainment on the 29th, Yoo In Na has been cast for the role of actress Yoo Se Mi who is also the colleague and friend of top-star actress Chun Song Yi (Jun Ji Hyun). Yoo In Na has joined the star-studded cast of Jun Ji Hyun, Kim Soo Hyun, and possibly TVXQ's Yunho who is in talks for the drama. Yoo In Na shared, "I've always respected writer Park Ji Eun and director Jang Tae Yoo so it is a big honor for me to work in the same drama as the excellent crew... I look forward to my collaboration with the awesome cast." 'Man From the Stars' is the work of 'Deep-Rooted Tree's PD Jang Tae Yoo and 'You Who Rolled In Unexpectedly's writer Park Ji Eun. The drama will portray an interesting story of an alien man, Do Min Jun (Kim Soo Hyun), with great looks and out-of-this-world abilities, who has been living on Earth since the Joseon dynasty. Four centuries later, he falls in love with an actress named Chun Song Yi. 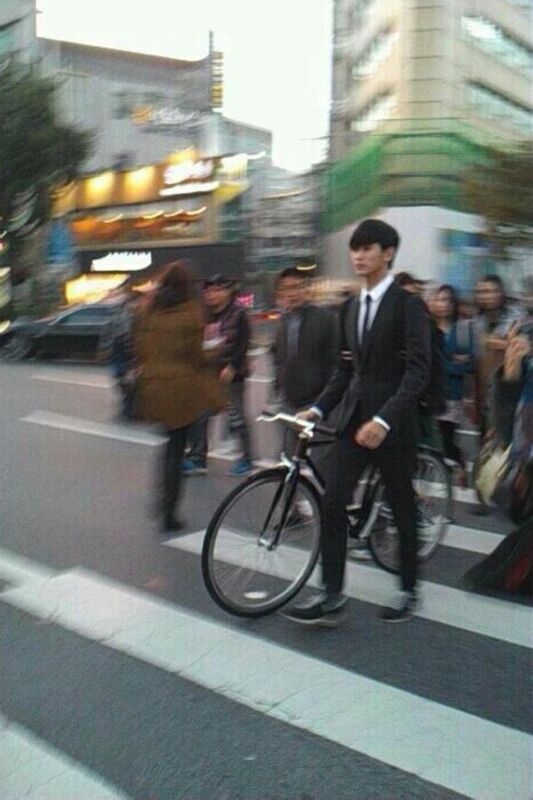 'Man From the Stars' is set to air this December following the conclusion of 'Heirs'! Let's greet Jun Ji Hyun a happy birthday! SBS upcoming Wednesday-Thursday drama which cast Hallyu stars Jun Ji Hyun and Kim Soo Hyun undergone a title change. According to the drama’s producer HB Entertainment, all the staff and actors came up with an idea of what might the title be called and after much deliberation by writer Park Ji Eun and Director Jang Tae Yoo, drama’s title was finally confirmed as “You Came From The Stars”. “You Came From The Stars” is a romantic drama based on the author’s outrageous and absurd imagination related to the haunting story about flying objects occurred in 1609 which is recorded in the ‘Annals of the Joseon Dynasty’. It depicts the miracle-like romance between an extraterrestrial being named Min Joon (Kim Soo Hyun) who fell to earth 400 years ago and Hallyu goddess Cheon Song-Yi (Jun Ji Hyun). The drama is considered as one of the most anticipated drama this winter and recently became the focus attention after the news of Jun Ji Hyun and Kim Soo Hyun‘s casting has widely dispersed. It also serve as Jun Ji Hyun‘s return to small screen after 14 years since SBS ‘Happy Together‘ in 1999. 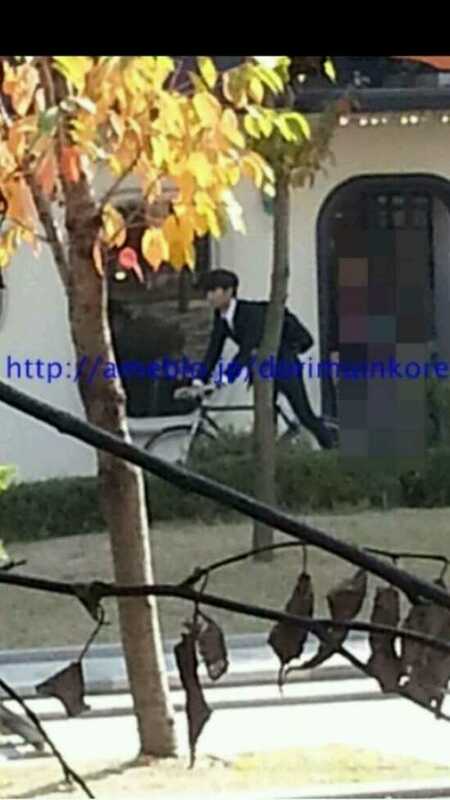 Actor Park Hae Jin, actress Yoo In Na, and model Ahn Jae Hyun have also confirmed their appearances in the drama. Drama series is expected to be broadcast following the conclusion of SBS “Heirs”. I'm anticipating for this drama..I like Jeon Ji Hyun since My Sassy Girl movie...She's just so plain beautiful..And I guess KSH and JJH will be a great pair on screen...SBS is lucky because their Wed and Thursday drama always have a good ratings..so I hope it will continue when this drama airs..
I’m so excited that Kdramaland will be closing its year with this show! And ever since Jeon Ji Hyun and Kim Soo Hyun have been confirmed for Man From Another Star, I have been waiting for fresh, official news on production. I even have the two stars’ DAUM pages bookmarked to check daily! LOL. Do Min Joon (Kim Soo Hyun) is an alien who landed on Earth 400 years ago during the Joseon Dynasty period. Do Min Joon possesses a near perfect appearance and enhanced physical abilities involving his vision, hearing and speed. Do Min Joon holds a cynical view to human beings, but he falls in love with actress Cheon Song Yi (Jeon Ji Hyun). Today, we have our first look at the whole cast jumping into actual production, attending their first script reading for the upcoming SBS show. It was held at the SBS Tanhyeon-dong Production Center on ctober 14th, and according to the staff, the actors were very well-prepared. This will be Ji Hyun’s first drama since 1999′s Happy Together, and this is also the second time she will be acting opposite Kim Soo Hyun, who gave her her big screen kiss in the hit The Thieves. Man From Another Star is slated to air on December 11th, taking over for Heirs. 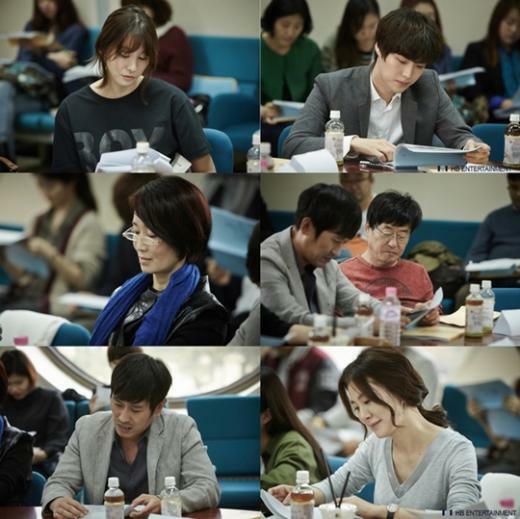 The script-reading has begun for the upcoming SBS drama The Man from the Stars. On October 14th, the cast of the new SBS drama The Man from the Stars gathered for the first script reading. The participants included the director Jang Tae Yoo, writer Park Ji Eun, and the members of the cast, including Jun Ji Hyun, Kim Soo Hyun, Park Hae Jin and Yoo In Na. Jun Ji Hyun arrived at the site dressed like a ‘top actress’ to reflect her character in the drama and Kim Soo Hyun perfectly acted out his role as the 400-year-old alien on earth. The other members of the cast, Park Hae Jin, Yoo In Young, and Yoo In Na also put their show masks on, passionately reading their scripts as if they were actually filming the drama. The Man from the Stars is about an unknown flying object that landed in Chosun Dynasty in 1609, and the romance between the 400-year-old alien Do Min Joon and sassy Korean actress Cheon Song Yi. The Man from the Stars will air in December following the hit drama The Heirs. 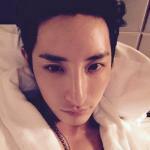 cr natehello @StaRiX :-h I'm so happy to see you here! omg They had the script reading! yes!!! :x btw where's yunho? :-h I'm so happy to see you here!